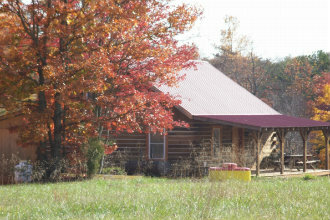 Our cabin is available for weekends, hunting season, romantic getaways & more. 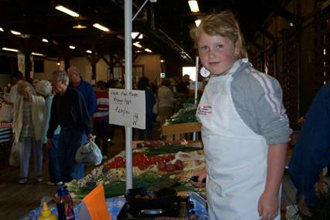 Try your delicious Sandy River Pork in a variety of home cooked recipes. Convenient locations to buy our pork! 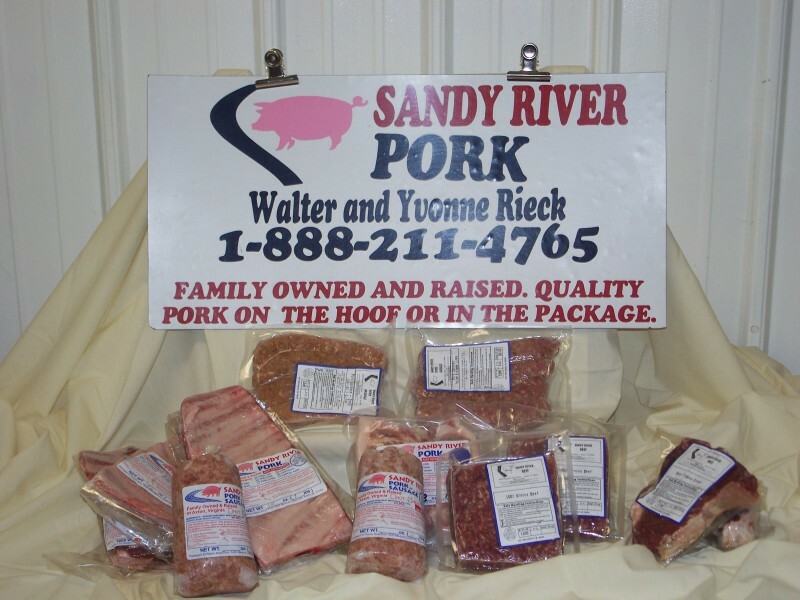 We are Yvonne and Walter Rieck, proprietors of Sandy River Pork. 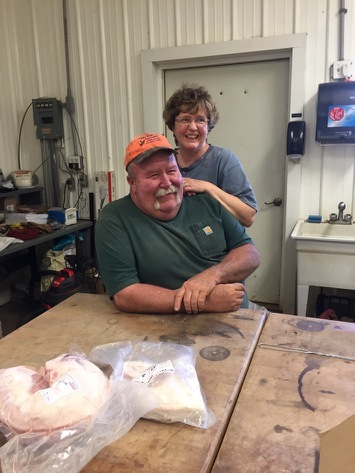 We have operated Sandy River Pork Farm for 20 years and raise 300 to 400 hogs for market as well as have a small herd of beef cattle. 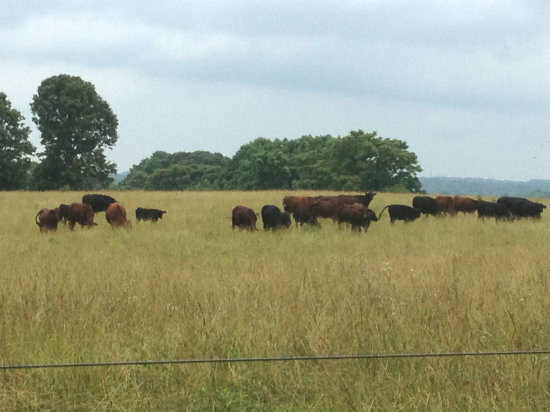 We pride ourselves on the way we raise our livestock, in an all natural open environment allowing for both grain and grass feeding. 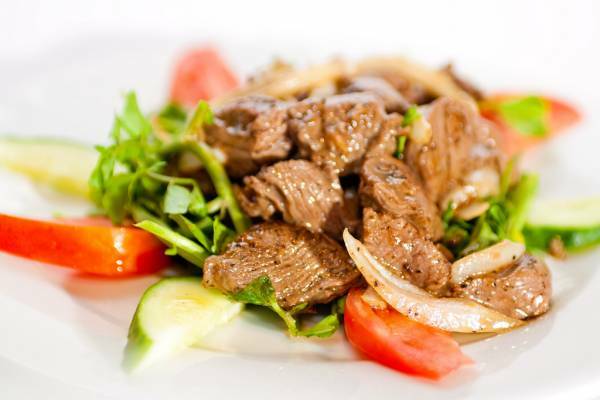 Our meat is free of hormones, steroids, artificial growth stimulants, drugs or antibiotics. ALL NATURAL!!! Our animals are processed in Burlington, N.C., USDA inspected, seasoned (with our secret recipe) and packaged with the Sandy River Pork label. Both Walter and I grew up on farms and moved to Pittsylvania County from New Jersey in 1987. We had a small hog farm there. When we moved to the county, we brought 12 sows and $20,000 and bought a 200 acre farm in Axton that had a house and nothing else!!! 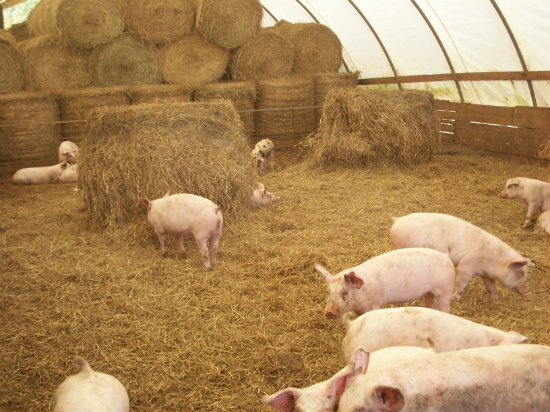 Over the past 20 years, we have added several improvements including a farrowing house and a finishing barn. Walter is a full time farmer and hog farming is a 24-7 job!!! I help with the day-to-day operations of the farm, keep books, and manage the website, but I also work as a lab technician at Moorehead Hospital in Eden, N.C (someone has to get benefits!!! ).